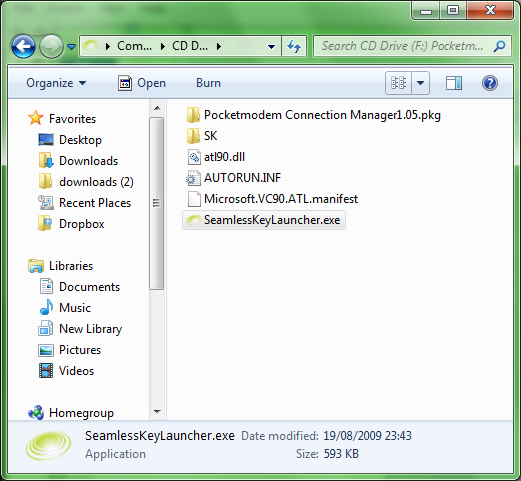 When you connect the b-mobile USB 3G modem (TechFaith Flying Angel) to a 64-bit Windows 7 computer, it does not seem to be detected / the drivers are not installed automatically. 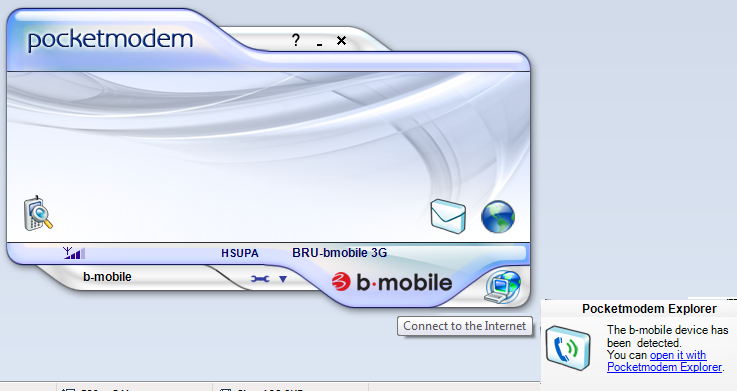 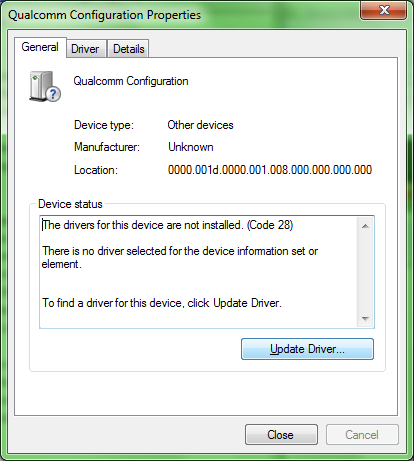 The drivers need to be installed manually after installation of the modem software as shown below. 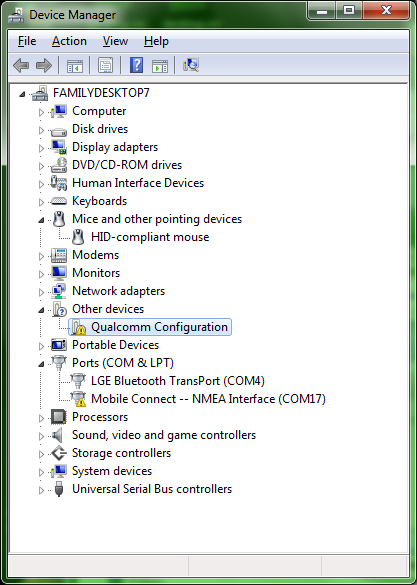 Find “Qualcomm Configuration” under “Other devices” and “Mobile Connect” under “Ports (COM & LPT)”. 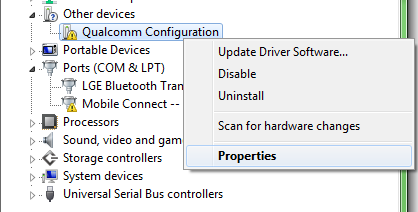 Hey, does this work over Vista x64 as well? 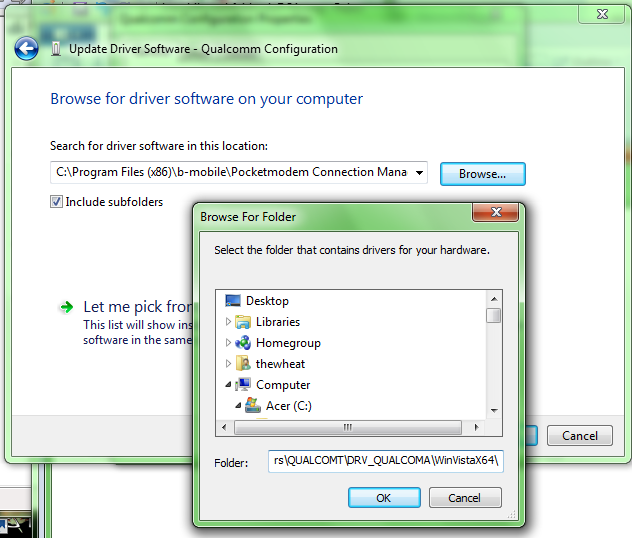 I’m trying it right now with my Parallels Desktop running Bootcamped Windows (long word, I know) and see if it works.